Situated right next to the beautiful Vembanad Lake, Indraprastham Cleopatra 2 Bhk Deluxe Houseboat offers you an unforgettable stay. 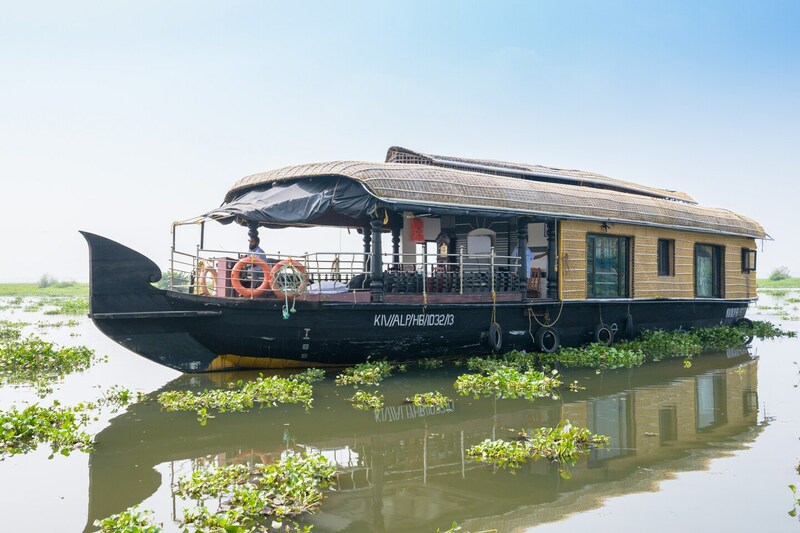 With coconut trees all around and floating in the middle of the lake, the houseboat offers you a lifetime experience of visiting Alappuzha in the rice bowl of Kerala. The rooms are tastefully designed with bright blue curtains which open up to an unmatched view. The deck on the boat is huge, with sitting arrangements with leather sofas. The dining space on the deck syncs beautifuly with this striking modified _Kettuvallam_, the large boat of yesteryears. It_s an awe-inspiring property when you realise how an entire house has been constructed atop a boat!